I’ve been reading more and more about wellness. Wellness as in “drink more water, eat whole foods, avoid unprocessed foods and heal your body” type of wellness. I’m a relatively healthy person, so its my priviledge to indulge in books like these. I know others who are on medication for things like Type 1 Diabetes can’t really throw their insulin out the window and replace it with kale. 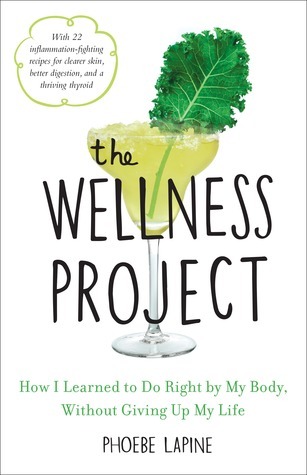 I started a new book last week called The Wellness Project by Phoebe Lapine. Its really not the best book out there on the topic. Its more anecdotal than informational. She chronicles her journey trying one wellness fad after another in the vain of Gretchen Rubin’s The Happiness Project. Her chapters don’t provide any real substance other than casual reminders that we should all be drinking more water in the day and that what we put in our body can affect how we feel, what we look like. This in another one of those year-long wellness books. 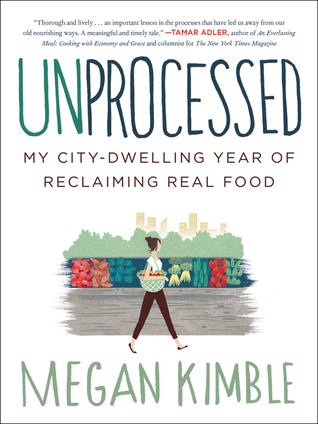 Although the difference with Unprocessed, is that author Megan Kimble takes you through the world of how food is processed (good or bad processing, there is a difference). It offers much more in the way of global analysis of how our actions effect the greater world around us through our grocery shopping and eating habits. 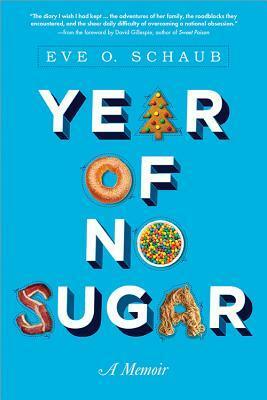 Year of No Sugar is another look into the world of wellness, rather accidental wellness. What happens when a family of 4 tries to stay away from sugar for one whole year? Although it received some negative reviews because of the author’s “cheats” with sugar, I found it to be more realistic. Its basically how I would have handled the challenge. In Defense of Food & Food Rules by Michael Pollan (because he kickstarted this whole genre). Eating on the Wild Side by Jo Robinson (A great book to take to the grocery store with you. Its like an encyclopedia of which are the best foods for your body).